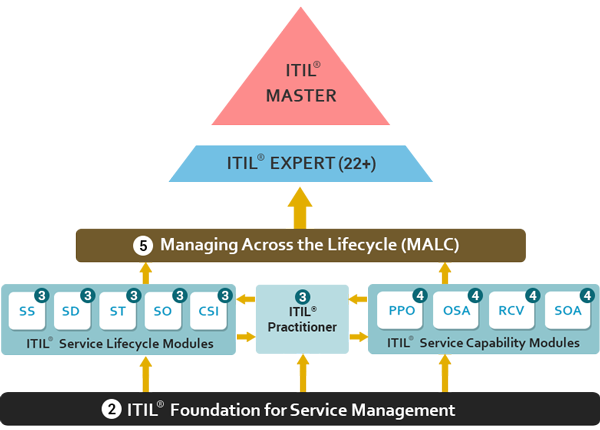 ITIL® is one of the best practice framework used by the IT departments of majorly all businesses all around the world. The right implementation of ITIL® practices supports the core process of the business and strengthen continuous improvement. Information Technology Infrastructure Library (ITIL®) defines a set of principles, procedures, and techniques to set up IT service management framework. Learning the best practices under the mentorship of an experienced professional at Multisoft Systems will help you gain in-depth knowledge and guide you in relating the ITIL® concepts to your business model. The training full of real-life scenario examples also prepares you in writing the certification exams. Focuses on the elements, concepts, and terminology used in IT service management. HOW ITIL® FOUNDATION TRAINING IS BENEFICIAL FOR YOUR CAREER GROWTH?